Coming to PS3, PS4, and PS Vita. Another day, another ‘musou’ game announcement. The latest issue of Famitsu has revealed that Samurai Warriors 4: Empires is currently in development for PlayStation 4, PlayStation 3, and PS Vita, with a planned release date in September. 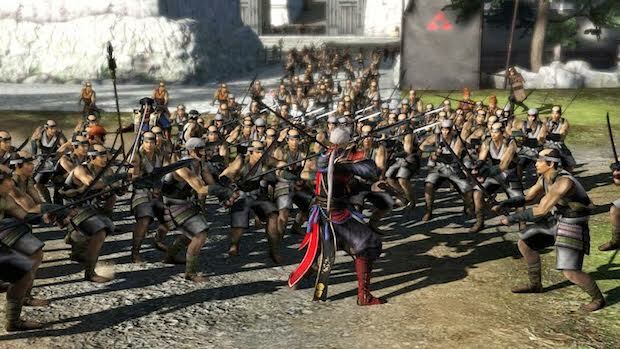 At this point, we should know what to expect from a new ‘Warriors’ game, but Tecmo Koei are highlighting several new features that this game brings with it to the table, including multiple simulation style elements, a new ‘Resident Internal Affairs’ feature, which sounds like an XCOM style military command room simulation, and over a thousand female warlords. Take that, Ubisoft. No localization has been confirmed for the game yet, but really, that’s just a matter of time, considering that all other ones have managed ti make their way over so far. Whether Samurai Warriors 4: Empires also gets an Xbox version upon western release, like so many of these games do, remains to be seen.